The online casino industry can be great fun… but it can also be a sea of deception, unless you’re a rugged Internet sailor. We believe it’s important teaching web casino players how to fish for the most suitable casinos for them, rather than just getting any old fish handed to them on an affiliate bound platter. For this reason, we prepared this article looking to help you spot legitimate review sites from a distance, as well as teaching you how to quickly check a few crucial factors that will deem any online casino trustworthy. Read through this article carefully, and you’ll never again have to worry about being tricked into joining an online casino of questionable reputation – which might lead to all kinds of headaches and financial frustrations. When you focus on checking for the right details, picking good casinos and good casino review websites becomes a very simple matter. If you’re looking for new online casinos to join, you should make sure to stick to the tried and true legitimate websites with well-known brands in place. There are lots of trustworthy top uk casino sites out there mixed up with many casinos of poor reputation, and it’s often confusing to tell the wheat from the chaff. Fortunately, there are plenty of casino reviews out there… but when you start looking at these, the same concerns promptly arise: how do you tell the unbiased casino reviews from the shady manipulative reviews? It’s not as simple as looking at the quality of the writing, since there is no shortage of self-serving review websites out there publishing extremely appealing reviews which don’t really serve the best interests of the players, but instead just try to lure them to indiscriminately sign up with any and all online casinos. Many review websites these days seem to be mainly focused on earning affiliate commissions from just about any casino they can get people to subscribe to, with little or no real concern for the player’s own best interests. Here’s what you need to focus on while looking for trusted casino sites by reading casino review websites. First and foremost, unbiased casino reviews should be diverse – in the sense that they should cover different brands rather than just focusing on a limited selection of obscure casinos. 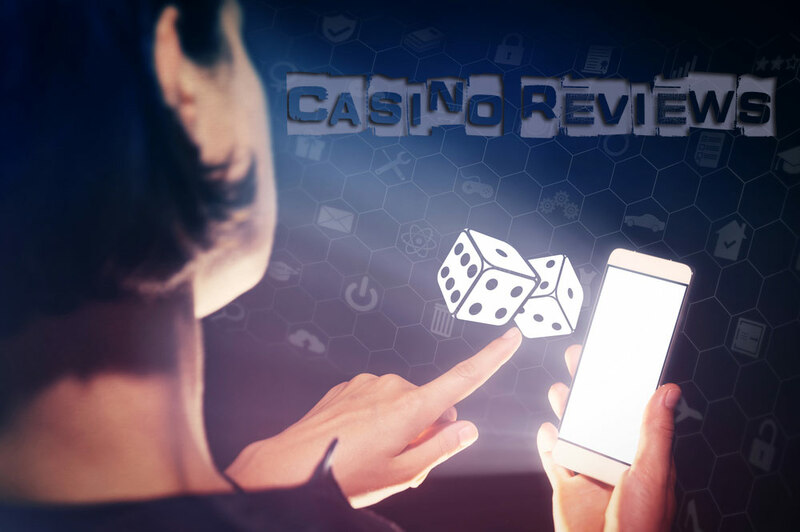 The actual reviews for each casino should also cover different aspects, including: its user interface, available bonus and promotions, and available games. A great casino review should also mention which payment methods are supported by a casino, as well as discussing the effectiveness of its customer support. All this information should come across as somewhat impartial; while it’s fine for a review website to convey an enthusiastic tone, it’s not such a good sign when a review seems overly concerned about making you “sign up now” rather than just sticking to the facts and letting you make your own mind. It’s also a very good sign when a review website is regularly updated, and includes several well-known web casino brands in their featured top recommended online casinos. The presence of a comments section populated by realistic remarks is also a good sign, but do not immediately think poorly of a review website with closed comments, since such a section requires close attention and on-going moderation work to keep spammers at bay – a time-consuming effort that not all webmasters can spare. Anther typical aspect of unbiased casino reviews is how they will often bring up negative aspects of a casino (such as bonus related wagering requirements) rather than just trying to make everything look perfect. If a score system is in place, the scores should be clearly uneven; if a review website grades all online casinos as 9/10 and 10/10, that’s usually an indicator of poorly conceived reviews. Once you’ve found a site you like offering unbiased casino reviews, you will eventually shortlist a few recommended online casinos you’re planning to join. At this point, there’s an extra step you can take on your own, to ensure those are indeed trusted casino sites. When you’re planning to join a particular online casino – either because something about it seems interesting to you, or because you’ve read interesting reviews endorsing it – there is a simple trick you can use to quickly check its credibility by running a few queries through your favoured search engine. Just look for “casino name +scam” or “casino name +fraud” (writing in the actual casino name) and see if any articles come up mentioning unpleasant user experiences. If you’re looking at a shady online casino, something will always come up when you do this type of search.